Mass Effect Andromeda, the upcoming sequel to BioWare’s revered sci-fi franchise is due to come out in a few weeks (March 21, 2017). We’ve been treated to some juicy trailers and confirmed features, including the emphasis on real-time combat without any pauses during aiming or using skills. This gives emphasis on the re-imagined adrenaline-pumping action when engaging enemies scattered throughout the battlefield. And before we go astray with tons more content to talk about, BioWare finally announces the full games actual file size for the Playstation 4, Xbox One and PC! 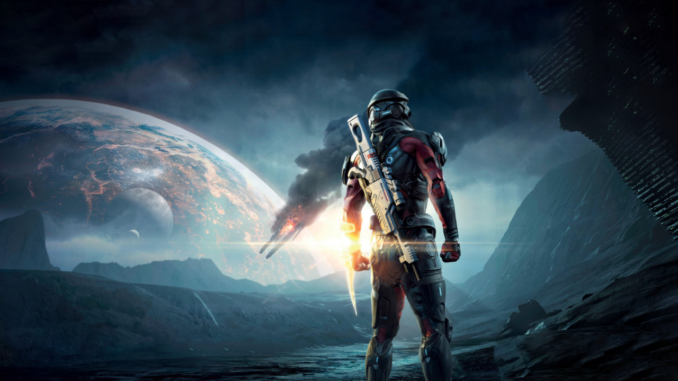 Talking about how big the game’s file size is, BioWare confirms that Mass Effect Andromeda for the Playstation 4 and Xbox One is “at least 45, but not more than 60” gigabytes. It’s a solid 55 GB on the PC, though you’ll want to check out the minimum requirements to run the game from the specs below. While we wait for this awesome title to come out, you can check out our Mass Effect Andromeda Wiki page for walkthroughs, guides, and tips and tricks when the game comes out!